Theta oscillations are perhaps the most important and well-studied oscillations within all mammalian nervous systems. 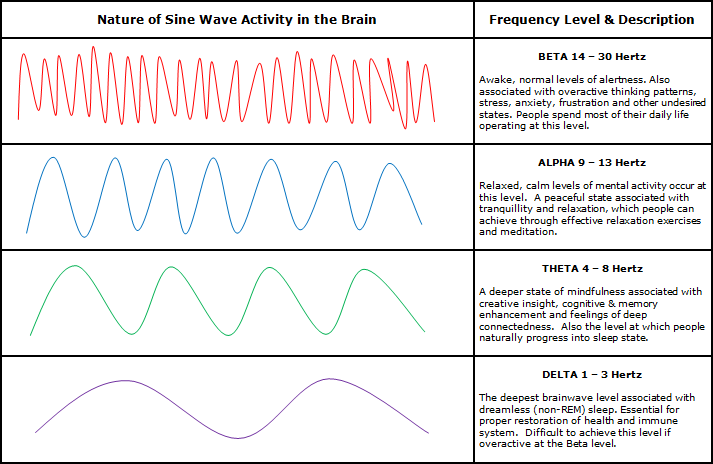 Theta waves are large amplitude and prominent oscillations. Theta rhythm has a specific range of frequency from 4 Hz to 10 Hz and is crucial for proper functioning of the hippocampus. Depending on the ​ongoing behavioral state of the animal, and also during REM sleep, this rhythm persists​ but varies in some characters (i.e. frequency). It is believed that theta rhythm plays key roles in the ​coordination of hippocampal neural networks. Theta waves may provide phasic effects on both synaptic transmission and on the baseline of membrane potential in single hippocampal neurons and may provoke phase precession in the ​timing of action potentials in place cells. Therefore the temporal relationship between theta rhythm and spikes may act as a coding and decoding mechanism for the place. Theta oscillations are also effective in synaptic plasticity and thus may be responsible for memory encoding and memory retrieval. Although this wave is present in all mammalian hippocampal field potentials, its amplitude and phase varies as a function of depth and creates a unique phase versus depth profile. In addition to CA1 pyramidal neurons in the hippocampus, many other limbic and even neocortical nuclei contain theta rhythm and some of these regions (i.e. MSDBB) are believed to play an essential role in the generation of theta rhythm. Also, some other regions within the hippocampus, such as dentate gyrus and CA3 recurrent collateral system contribute to this rhythm. Despite the fact that the underlying mechanism behind theta rhythmogenesis is yet unresolved, several models have been developed to explain the ​generation of theta waves and to describe the unique phase versus depth structure of theta oscillations in the ​hippocampus. One of the notable models is “classic” theta model which is constituted on collaborations of the​ septal pacemaker (MSDBB) and follower hippocampal neurons: It is assumed that the hippocampal follower neurons (CA1 pyramidal cells) have passive properties and their activation is solely depends on the sum of EPSPs and IPSPs inputs. The septal pacemaker neurons provide GABAergic inhibitory inputs to basket interneurons and cholinergic depolarizing inputs to both interneurons and pyramidal cells. In addition, neurons of entorhinal cortex provide depolarizing inputs to the ​distal dendritic region of pyramidal cells. These excitatory and inhibitory dipoles induce perisomatic electrical flow. In a population of pyramidal cells, these extracellular flows would accumulate and eventually produce the theta rhythm. Although this model is consistent with experimental data and is successful in answering some critical questions about theta oscillations, but suffers from a few inadequacies: For example, unlike the assumption that pyramidal neurons have passive properties, many studies have indicated pyramidal neurons- and also many other neurons in MSDBB and entorhinal cortex- have membrane resonance properties. These neurons have a tendency to oscillate in a preferred range of frequency, around the theta frequency in this case. This intrinsic resonance may contribute to the fact that the theta rhythm preserves a certain range of frequency and also it may play role in the ​coordination of theta oscillations. In conclusion, extensive theta waves provide harmonious context for the​ activity of hippocampal neurons and may produce a ​ synergy between the behavioral state of the nervous system and physiological state of individual components.